You want to jump start your fitness routine, but do the words “boot camp” strike fear in your heart? If so, you’re not alone. After all, for most people the mere mention of the words “boot camp” brings to mind thoughts of agonizing military training in harsh conditions with Lou Gossett, Jr.- type instructors. But what if we told you that you could get all of the calorie-burning, fat-blasting benefits found in boot camp in a class at one of our clubs? Here’s a closer look at the modern fitness boot camp trend, along with why so many people are “enlisting” in everything from traditional to aqua boot camps in order to reach their health and fitness goals. It’s not a coincidence that both descriptions use the words “fun” and “effective” to describe boot camps. It is precisely this combination that both draws people to this popular fitness workout and keeps them coming back for more. All of this may leave you wondering what, specifically, makes bootcamp such a smart way to work out. For starters, boot camp classes are intense, vigorous, and keep participants in constant motion. As a result, you can expect to burn some serious calories– as much as 600 in an hour, according to Active.com. In addition to keeping things moving, boot camp classes mix things up. Not only does this mean your body stays challenged through HIIT cardio and strength training, but many also incorporate treadmills, hand weights, and other equipment. And then there’s aqua boot camp — a refreshing spin that shifts the workout from the great outdoors or gym floor into the swimming pool. The variety found in boot camp leaves no room for boredom or complacency because every session is exciting and exhilarating. Speaking of complacency, it is easy to get a bit complacent in your everyday life. Boot camp is an amazing antidote to just continuing along with the ordinary, day after day. Participants push themselves outside their comfort zones and past what they thought was possible. The result? An unparalleled sense of accomplishment — and the confidence that goes along with it. The more confidence you build at the club, the likelier you are to try new things and experience new gains. You won’t just find a workout in bootcamp, you’ll find partnership toward your fitness goals. In addition to the help of your instructor, you’ll also find help and unique camaraderie with your fellow boot camp participants. Continues Active.com: “Boot camp teaches you discipline because each class turns into a team and you don’t want to be that one person who brings everyone down. 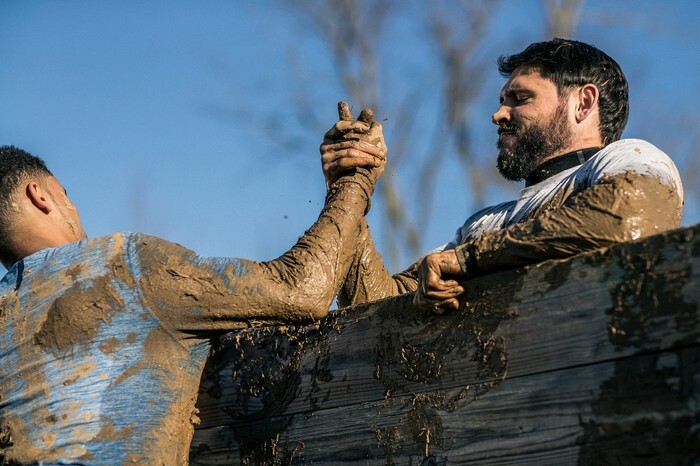 You are forced to unite with your fellow boot campers and conquer the sixty minutes of pure physical extraction.” In other words, your fellow boot camp participants aren’t just your classmates, they become your support network, a bond that for many, continues long after boot camp is over. One last thing to keep in mind about boot camp is that while it’s an amazing opportunity to reach your wellness goals, choosing the right class is the best way to optimize your chances at success with your weight loss and fitness plans. Sign up for a trial pass today to find the boot camp class that’s right for you!